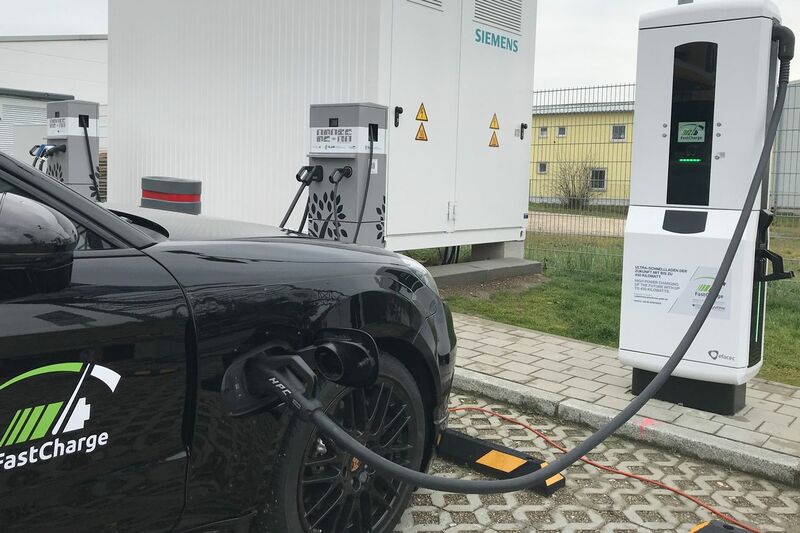 A research group with members including Porsche and BMW has unveiled a new 450 kW charging station prototype in Germany (via New Atlas), which has a capacity of three times that of Tesla’s existing Superchargers. Supplying that much power means that the new station, built by the FastCharge research group, could supply around 100 km (62 miles) of range in just three minutes, or charge a BMW i3 from 10 to 80 percent in 15 minutes. In contrast, Tesla’s Superchargers currently have a maximum capacity of 145 kW. However, FastCharge is unlikely to maintain this same lead for long: Tesla has already upgraded its network from 120 kW in the past, and it plans to increase the maximum capacity of its network to 250 kW next year.